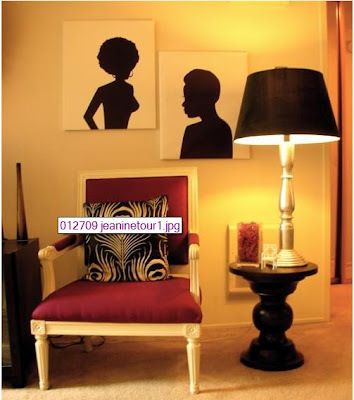 This image from Aphrochic courtesy of Apartment Therapy screams chic elegance. Loves the colors, loves the art, loves the furniture and fabrics. Absolutely loves. This is soooo me....I love it! Thank you so much! I am so glad you love the space. Thanks for posting about it on your blog.